Adapted by Allison Gregory. From the Series by Barbara Park. Okay, first things first. Junie B. Jones is definitely, positively, 100% NOT a crook. Even if she did take a super-cool pen she found and didn’t turn it in to the lost and found. Finders keepers, losers weepers, right? RIGHT? Based on the beloved books by Barbara Park, find out what happens when our favorite kindergartener learns the difference between what it means to take and what it means to give. Join ME for dinner and a show! Two things are for certain: I am NOT a crook and I LOVE Raising Cane’s! Join me and LCT for a free family dinner from Raising Cane’s! I mean, have you tasted their chicken? It is super delicious! I am told you do need a free pass to attend, so sign up at the Box Office before those run out! The Lexington Children’s Theatre brings the world’s funniest kindergartener to the stage. 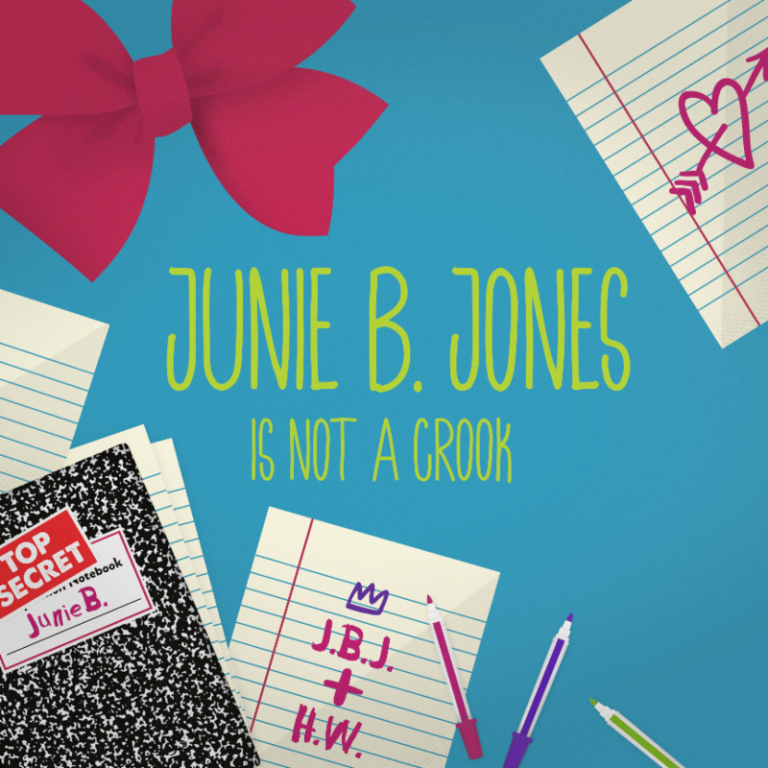 “Junie B. Jones is Not a Crook” is laugh out loud funny. If you have little ones, get your tickets today. You don’t want to miss this adorable show! The cast is so talented. I can’t say enough good things about Courtney Wood who plays Junie B. As a former teacher, I had high hopes for this play and she did not disappoint. I have read these books to countless students as well as my nieces and my own children. 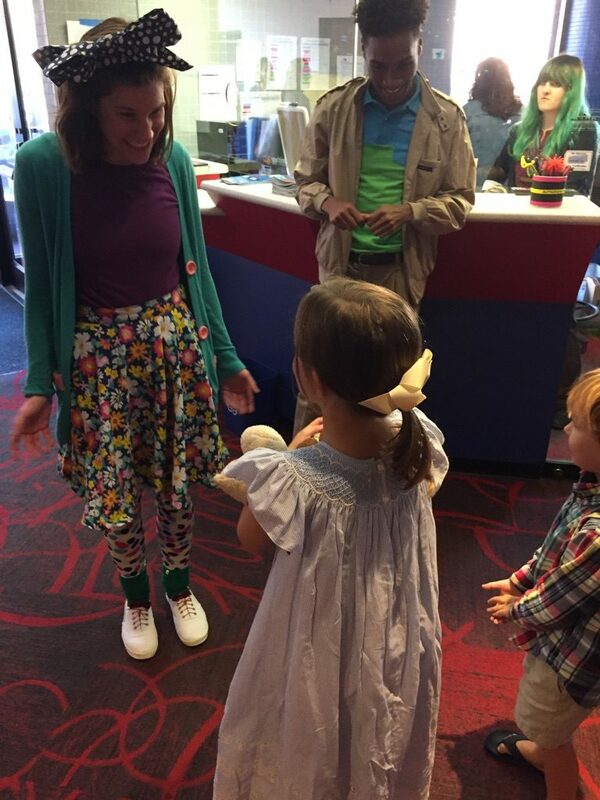 Ms. Wood brought this one-of-a-kind character to life and had the entire audience in the palm of her hand. We chuckled as Junie B. tried to physically move Meanie Jim’s “fatty head”, we giggled as she informed us that “no trampling thy neighbor is a ten commandment,” and we laughed out loud as she avoided the eye of the Grouchy Typing Lady, who was by far my favorite supporting character (played by Esther Neel). 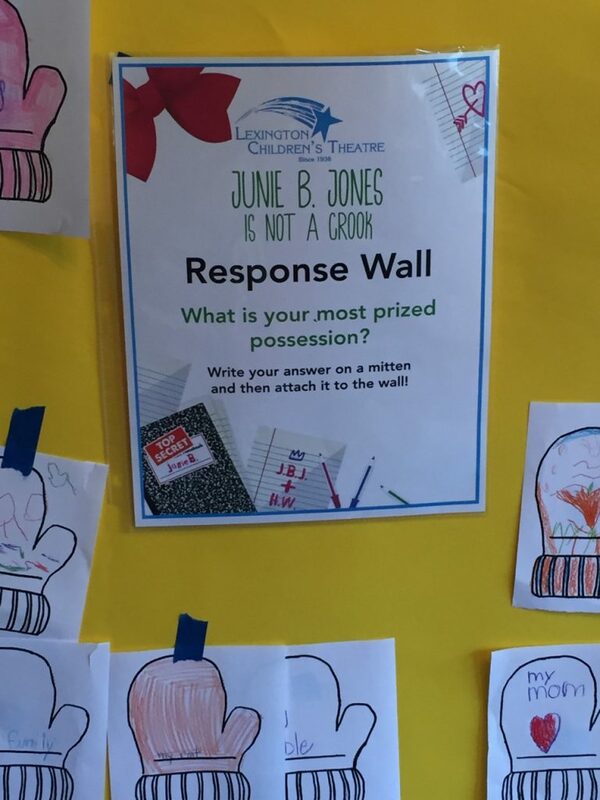 As is true for most five year olds, the play shows how Junie B. is the center of her own world. She steps into the spotlight to tell us her thoughts and everything else freezes. When the teacher takes her beautiful mittens “until recess,” the world literally moves in slow motion as she waits to get them back. It’s a good reminder for the adults in the audience what life as a kindergartener must feel like. The set is remarkable. Everything is made out of pool noodles – everything! It gives such a whimsical, fun feel to the play. I am always amazed by the clever off-stage talent at LCT. My children (ages 4 and 6) were literally jumping with excitement as we entered the theatre and they saw the giant pool noodle monkey bars with a bow that matched Junie B’s. This show is about ninety minutes long, and it flies by. The story moves quickly and the actors are so captivating, I had no idea we’d been in the theatre for that long. • Doors open thirty minutes before the show. There are activities in the lobby for kids to enjoy before the show. Be sure to stick around after to meet the cast and get autographs! • There is not a bad seat in the house. If you need handicap seating, just let the box office know. There are plenty of seats reserved, but most of the seats require climbing stairs. • The theatre is cool. Bring a sweater for you and your children and consider wearing pants. • If your child needs a restroom during the show, you can exit to the top of the stairs and return during the show. After all, it’s a children’s theatre. They understand! • There are two places along short street that offer $5 parking. We park at First Baptist Church Lexington. It is cash only and on the honor system. What does it take to build a world for everyone’s favorite kindergartener, Junie B. Jones? 105,300 cubic inches of pool noodles, of course! The staff of Lexington Children’s Theatre has been hard at work building their set for the upcoming production of Junie B. Jones Is Not a Crook, envisioned by Scenic Designer Kevin Nelson. So far, 342 pool noodles have been ordered for the production, which when laid end to end would reach for over a quarter mile! It’s a crazy, colorful “pool noodle party” behind the scenes of this unique show! “In this design, we wanted to reflect the mind of Junie B. and how unconventional her world appears. 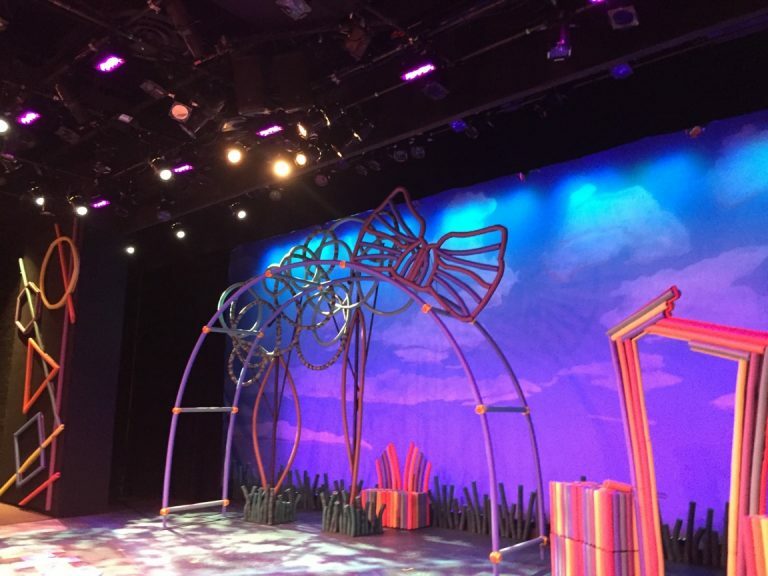 Using only pool noodles to build a production is not a very ‘conventional’ approach; however, it reflects the world as Junie B. sees it,” says Nelson. “The set pieces are all so different and exciting! I’ve used pool noodles behind the scenes on shows, but this is the first time I have ever built a set with pool noodles as the main focus. I personally am making a set of monkey bars, which has been an interesting challenge, and a challenge always makes my job more exciting” says Jeremy Villines, LCT’s Technical Director. One of the challenges of this design has been finding ways to make the pool noodles structurally sound, especially with larger pieces like the monkey bars. “Pool noodles also provide some difficulty in regards to color matching, because they are all so unique and different,” says Villines. “As far as lighting the show is concerned, we really had to wait and find colors that would work well with the color palette of the pool noodles themselves,” adds Aaron Bowling, Lighting Designer. Maggie Foley, Scenic Charge Artist, has been working on different techniques to cut pool noodles and incorporate them in the making of some amazingly fun props. “Working with pool noodles has been a learning process and a huge experimentation in a medium that I had yet to work with on this scale in theatre,” says Foley. 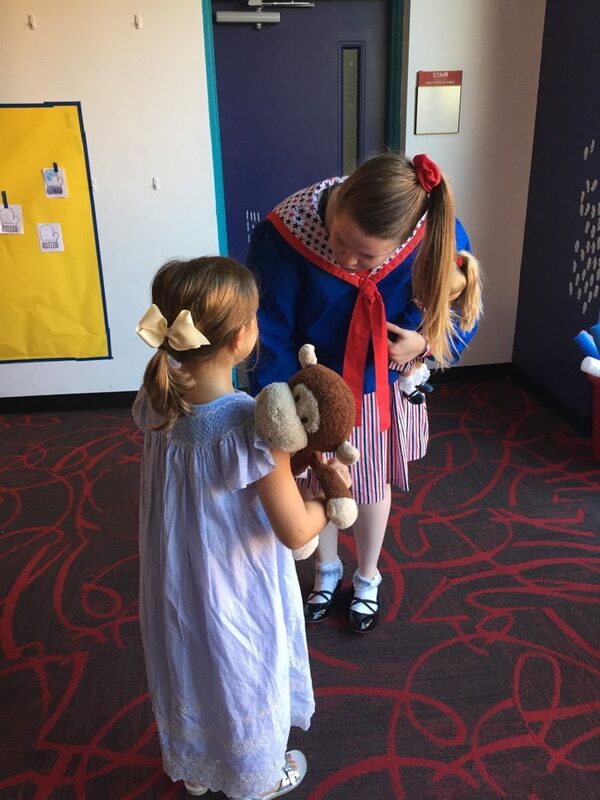 Costume Designer Julie Glover has been extremely excited to work on such a creative, nostalgic show that both children and adults can relate to! “I loved going to school. Like a lot of adults, we want a chance to relive our childhoods. I think about what my teachers looked like, and how I viewed adults then. I tried to think of what was fun and exciting about being a kid. This particular show has been even more enjoyable because I’ve been going back into my own personal history for references. I even spent a little time at my childhood home digging through old photos to find pictures of exactly what I wore as a child,” says Glover. “Since my first visit to LCT, I knew that I would love the opportunity to design with the wonderful people who work there and I am very excited about seeing this production with an audience full of children enjoying the world that we have created,” says Nelson. Join LCT for Junie B. Jones Is Not a Crook to see the pool noodle set in action! Performances of Junie B. Jones Is Not a Crook will be September 17th, 23rd, and 24th. Don’t forget to join LCT for a free family dinner provided by show sponsor, Raising Cane’s, prior to our 7:00pm performance on September 23rd. A free pass is required, please contact the box office.